A novelty song from 1953, "I Want a Hippopotamus for Christmas" was written by John Rox and sung by Gayla Peevy, who was just ten years old at the time of the recording. The song peaked at number 24 on the Billboard charts in December of that year. I was unfamiliar with this little gem until my friend Jeff introduced me. It's cute, obviously novelty, but fun. A good addition to your Holiday playlist. Happy Holidays my friends at WeCastMusic. We'll see ya next year. 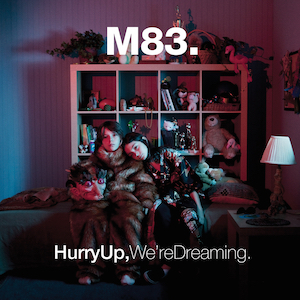 So I'm playing a little year-end last-minute catch up and supposed I couldn't be a electronic/dance/electro-leaning music blog without mentioning French artist's M83 (Anthony Gonzalez) much talked about 2011 album released in October, "Hurry Up, We're Dreaming." It got a lot of buzz around it's release but didn't grab me much at all, save for first single "Midnight City." It's a big grand double-album that, like many double-albums, seems to be missing a whole lot of editing. It just goes on and on an on, mixing a bit too much shoegaze and ambient for my tastes... but really, "Midnight City" is must hear. Unfortunately, after a brief intro, it's the first real track... so you have much more to get through to make it to the end. I've found the album is best enjoyed while doing other things, putting it on in the background, vs. sitting down and really listening. Some of the production is pretty impressive, but unfortunately WeCastMusic adds this album to its ever growing list of 2011 albums that are being raved about, and is just not feeling. I really loved UK electropop artist's Little Boots debut album "Hands" from 2009, and loved her first single "New in Town" more than most songs from that year. It was by far the best track on the album, but it was a solid debut, and I've been wondering what new material might sound like. It's been announced that Little Boots is releasing a new album coming next year, and is going to embark on an International DJ tour to promote the album. She's released a mixtape called "Shake Until Your Heart Breaks" which includes one new track, "Shake," which has been released digitally. It's not getting the first single treatment, so it's really just being used as promo to get a little interest together. And I'll be honest... it certainly didn't grab me at first listen, but as I've had a little more time to have it, it's grown on me. "Shake" sounds very 90's to me in the best way. It's rather long and seems designed more for DJ sets than the singles chart, but regardless, it's got its own charms. This song didn't grab me in the way that their hit "Barbara Streisand" did last year, but I now have been seeing that video everywhere, which has elevated it for me. If you don't know what I'm talking about, please take a couple minutes and watch what Billboard called "the most disturbing and frightening video f 2011" below. I can't say I don't disagree. It's sort of... life changing. One again... (wink-wink) friend and reader Chris has turned me onto another up-and-coming artist that has quite a lot of potential. London-based nineteen year old Charli XCX creates goth-tinged electro tracks that marry the freak goddess charms of Kate Bush, with the more modern, ummm... freak goddess vibe of Marina and the Diamonds. Other influences include The Knife, The Cure, the Zombies, and Grace Jones. Charli's working on her debut album, which is expected early next year. Based on first single "Stay Away," and current "Nuclear Seasons," I think there's a lot to look forward to. She's already opened for the likes of Robyn and Peaches... one to watch in 2012. You can get a free download of "Nuclear Seasons" is you head over to her official website. 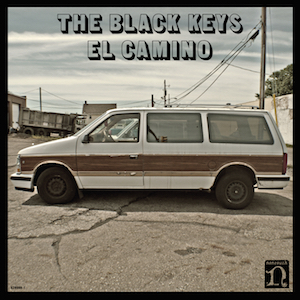 So The Black Keys have never grabbed me. The Akron, OH blues-rock band released their sixth and most popular album, "Brothers" last year to much acclaim and interest. It made it on several year-end best lists and I still haven't heard it. But all the talk about that record made me interested enough to check out their latest album, the Danger Mouse produced "El Camino," which came out last week. And I like it. 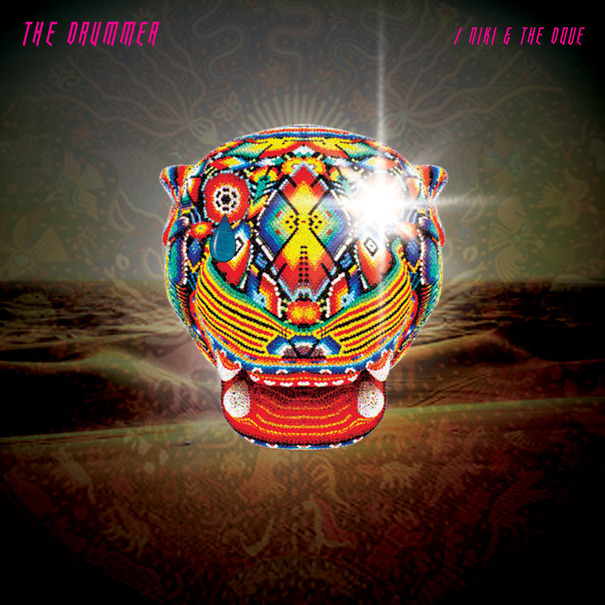 The album has a bluesy-classic rock sound that's not all together distinct, but certainly well done and effective. I immediately connected with first single and opener "Lonely Boy," and the rest of the album powers through a set of muscled-up rock tracks that roll along with a 70's sense of strut and sleaze. I hear a little Stones, a little Chili Peppers, a little Paul Butterfield Blues Band... but most importantly, I hear some solid, catchy rock tracks. Jeez. I'm going to have to go back and get "Brothers" after all eh? I've read that "El Camino" is intentionally "faster" than "Brothers" as they realized faster songs worked better on the road as they played larger venues due to their growing popularity. Fine by me... it's a pretty solid rock and roll train they're powering through with. I was almost a little surprised at just how much I was personally effected by Amy Winehouse's passing earlier this year. Sure, I was a big fan of her breakthrough record "Back in Black," played it constantly, and thought she had a bright musical future ahead of her... as long as she could get her life together. Alas that didn't happen, and sessions for a follow-up fell through. But I really was taken aback at just how much I continued to think about Amy, listen to her music, and truly mourn a tortured soul. Last week saw the release of "Lioness: Hidden Treasures," a compilation put together by her two closest producers, Salaam Remi and Mark Ronson. It's certainly not the holy grail of Winehouse... it's no "Back in Black"and actually... it's not much original Amy. Mostly covers and alternate versions of past Winehouse releases. ("Tears Dry," "Valerie ('68 Version.) But I can't stop listening to it, marveling at her voice (apparently some of these tracks were built using scratch vocals) and how casually she could be jaw-droppingly mesmerising. I've been obsessed with "Between the Cheats" which I thought was a cover of a classic song I didn't know... but it's an original, and shows just how classic she was as a songwriter. If you were a fan I think that this collection is necessary, even if it doesn't hold up to her past material. It's wildly listenable, and yet the air of sadness that this is in fact IT that we'll get from Amy, is thick. Tragedy. I'd first discovered Swedish electropop band The Sound of Arrows back in 2009 when they put out the single "M.A.G.I.C." I loved the sunny upbeat sound and 80's movie aesthetic the band went for. And since then we've all been waiting for the release of their debut album. Well, "Voyage" finally came out in November, and while it didn't quite meet my expectations... it's worth checking out. But I'll also own up to taking a long time to connect with latest single "Wonders," but it recently fell into place for me. It's a slower track than I expected for a single, but the album also falls into that line... and therefore possibly responsible for my shifted expectations. The song is ultimately pretty soaring and wonderful. Friend and reader Chris introduced me to this song a while back and I've been slowly getting into the album as a whole, which is an odd mix of psychedelic rock, electronica twinged soul, and folky atmospherics. "Somebody I Used to Know," a duet with New Zealand's Kimbra, falls into the latter category... a haunting song that really gets under your skin. It's quite beautiful. Gotye (pronounced, I believe, like the designer, Gaultier) is a Melbourne-based singer-songwriter and multi-instrumentalist born in Bruges, Belgium. He's released three studio albums and a remix record. His latest, "Making Mirrors" was released back in August of this year. I've really like this record, a hard one to pin down but worth the time to check out. "Somebody I Used to Know" doesn't really typify the sound of the record, as it jumps from the psychedelic ("Easy Way Out," "Smoke & Mirrors") to straight up soul ("I Feel Better") to electro-pop ("Eyes Wide Open") and everywhere in between. Very cool. Wow. VERY Kate Bush no? But I really like this track, though it's the best song on the EP by far.